Come enjoy a relaxing getaway in the shadows of Virginia’s scenic Blue Ridge Mountains! 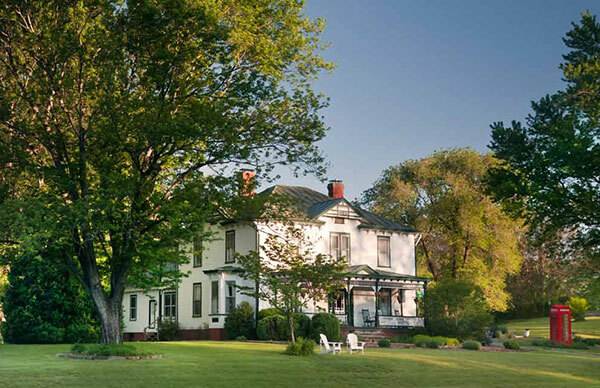 Owners and Innkeepers Orquida and Dan Ingraham welcome you to escape to their beautiful 1848 Victorian bed and breakfast located in the heart of wine and craft beer country near Charlottesville. The house features spacious porches, numerous antiques, original heart pine floors and staircase, and a stained-glass entrance way. We offer five distinctive guest rooms, all with private bath, individually controlled heating and air conditioning, and wireless internet. Our full breakfasts feature fresh and local ingredients.